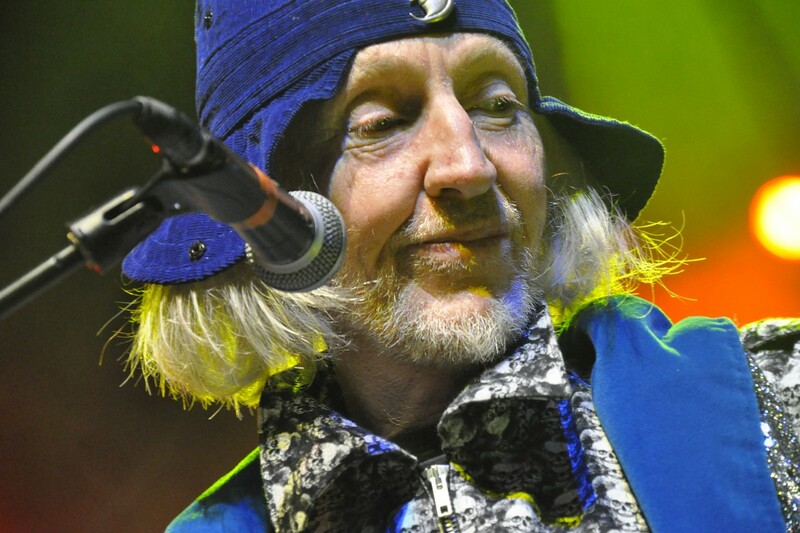 A podcast from SoundArchives sponsored by Symbiosis Music in which Clive Williamson interviews guitarist, singer and poet Daevid Allen (in 1977) about the mythology of Planet Gong and recording his solo album “Now is the Happiest Time of Your Life” at his studio in Deya, Mallorca. Features an original poetry performance by Daevid and music by Symbiosis. This archive interview was first broadcast on BBC Radio London’s “Breakthrough” programme and has often been celebrated for Daevid’s extraordinary initial ‘pot-head’ response to Clive Williamson’s question about the origins of the Planet Gong story. Hearing it now really evokes Daevid’s warmth, humour, wit and wisdom… which are missed by so many since his untimely death on March 13th, 2015! His answers add depth to the Gong myth and details of his recording methods. At the time, he was living in the remarkable setting of Deya, surrounded by mountains and lemon groves and absorbing an atmosphere beloved by poet Robert Graves and which provided the inspiration for the early days of The Soft Machine. Daevid recorded a number of interviews with Clive Williamson, so expect to hear more of their conversations here on SoundArchives soon!